The carpet cleaning industry has evolved since the 90s. There are techniques that are no longer in use and then there are those that are still used to this day. No matter how carpet cleaning has evolved there is one important factor, the cleanliness and health of your carpet. Back in the 90s and before that time people would use soap or detergents to clean their carpets. From professionals to the do it yourselfers it was all about that soap. It makes sense because soap is what we use to clean most things. We clean our dishes, cars, hard floors, and even our bodies with soap. However, although soap may be the best option for cleaning those type of things it has been discovered that it is not the best choice for carpet cleaning. Unlike our dishes and cars, you cannot rinse out all the soap from carpets. Soap will leave residue and will become trap within the fibers of the carpet. Leftover residue only means one thing and that is it will become sticky and attract all the dirt it possibly can. Basically, if you were to use soap in carpet cleaning it will look good for about a second because the very next moment your carpets will be dirty once again. Although many do it yourselfers still use soap to this day professional carpet cleaners have evolved and now use solvents. Solvents will give you just as good of a carpet cleaning then soap and will not leave any residue behind, giving you better looking carpets for a longer period of time. Solvents are sprayed down on the carpet rather than saturated with soap and water. Once the solvents are sprayed it immediately goes to work on breaking down those common stains. Solvents such as enzymes and emulsifiers will remove almost all common stains such as dark spots or traffic areas, food stains, and drinks stains. There is a higher success rate with carpet cleaning when using solvents vs soap. Solvents are also environmentally friendly and are completely safe for the whole family, including pets! Since there is no residue left behind by solvents your carpets will smell fresh and will not become stiff or funny feeling. 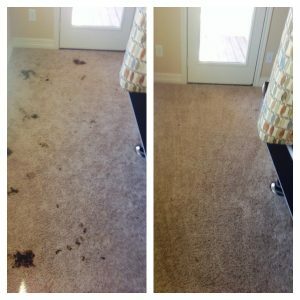 Professionals will and should always recommend using a professional carpet cleaner rather than the do it yourself machines. There are some “all natural” techniques out there on the internet that may be safe to use but why take the chance and why break your back when you can call on Beyer Carpet Cleaning. 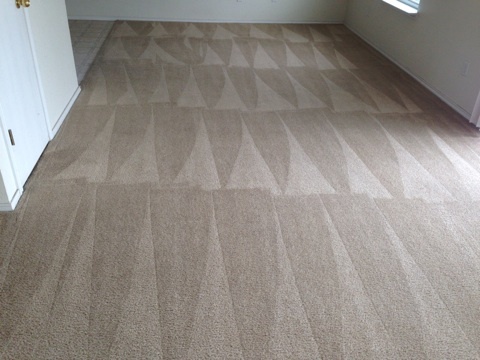 Beyer Carpet Cleaning San Antonio are partakers of the modern solutions of carpet cleaning. They will leave your carpets looking and feeling fresh. They can provide you with the best possible cleaning while not heading you over the head in price. Beyer Carpet Cleaning has top customer service and is willing to take care of their customers. Give Beyer Carpet Cleaning a call and see how carpet cleaning has evolved for the better!